MARQUETTE — Opioid use is common in Michigan, especially in the U.P. Local and non–local people and organizations are working to find ways to stop it. The 2018 The U.P. Health Strategies Summit was held today at the Ramada. Topics included opioid addiction, pain management, the opioid crisis, and treatment. Organizations like the Superior Health Foundation, Upper Peninsula Health Plan and the Great Lakes Recovery Center are working together to find strategies to help combat opioid addiction. According to the Michigan Department of Health and Human Services, the amount of deaths related to overdosing in 2016 was higher than traffic deaths statewide. 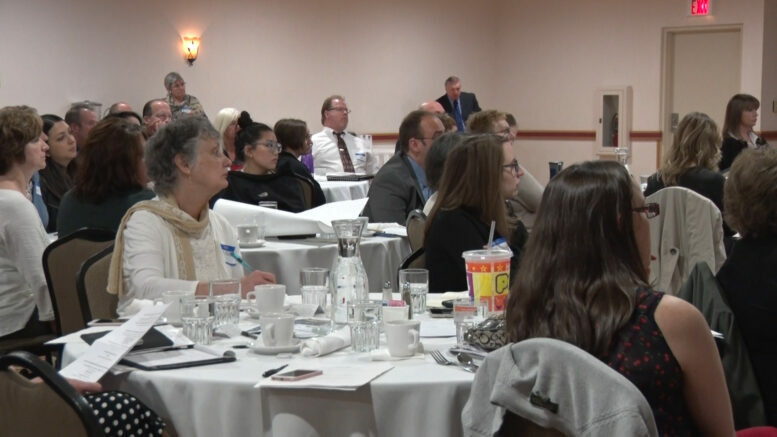 The summit also aimed to connect people working to improve health around the Upper Peninsula.